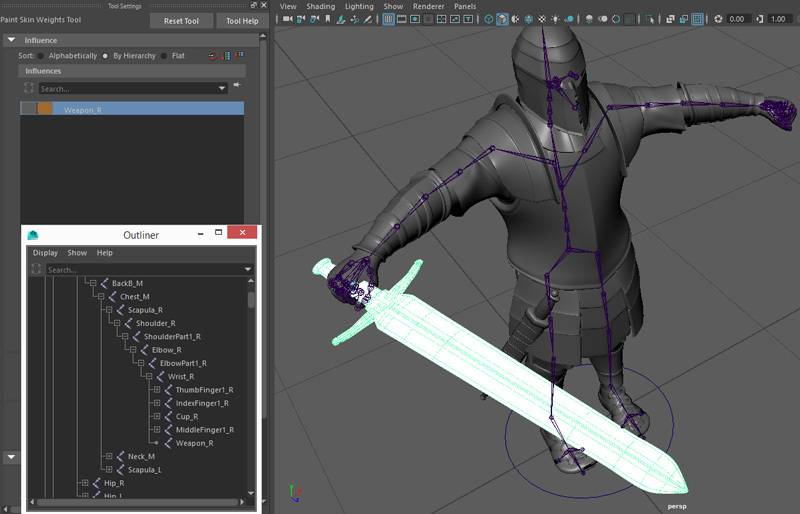 When dealing with rigid props (helmets, swords,...) or doing very aggressive LOD, it is important to check that the character is skinned correctly so that the Automatic Instancing will be triggered. Indeed, for the time being, Rigid Binding is not supported by the GCG format. 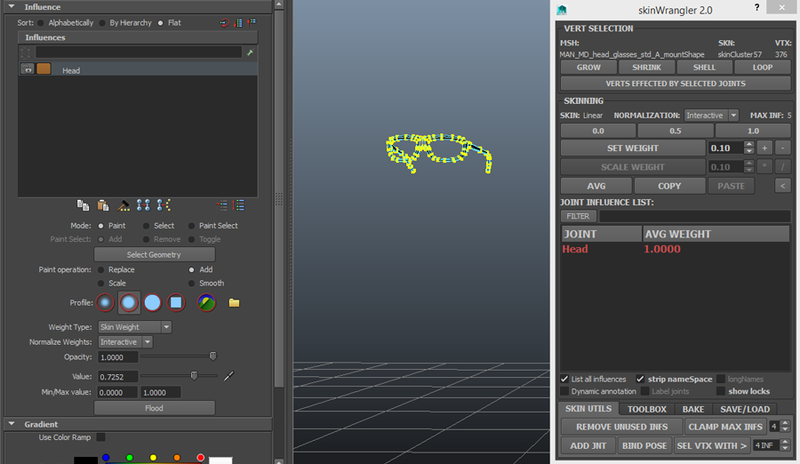 So you if want to benefit from both GCG optimizations and instancing, when it makes sense to do so you should smooth bind your props with only one bone influence instead of rigid binding them. For example in the below soldier, instead of being influenced by all fingers or multiple bones of the hand, the sword is influenced only by one bone called Weapon_R. It will then be automatically instanciated (and anyway it makes it easier to control). 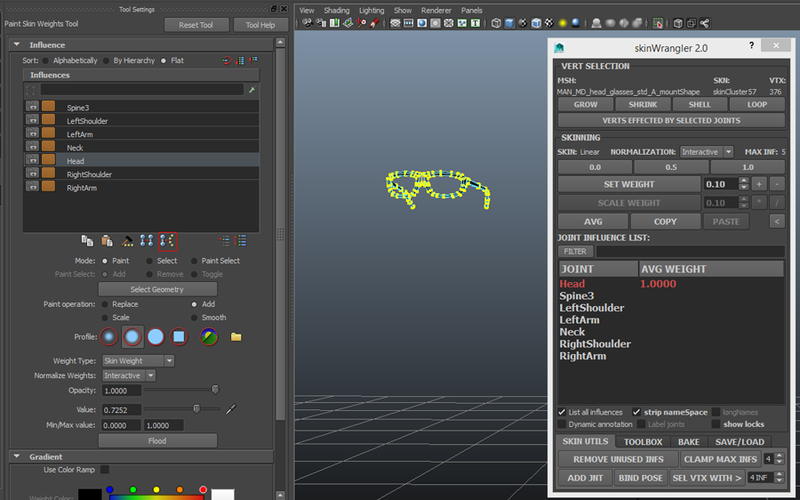 To clean influences, select the mesh and the skeleton root bone and then go into the Maya Menu / Skin / Remove unused influences. With this new setup, auto-instancing will be triggered.